What Should Your Hot Tub Temperature Be? Last Updated: March 14, 2019 | Subscribe to our weekly newsletter! Slipping into a warm, bubbling hot tub at the end of a long day is a relaxing proposition for a lot of happy spa owners. But hot tub temperature isn’t a one-size-fits-all setting. Choosing the right temperature for your spa depends not just on personal preference, but safety and economy too. It takes a little time and experimentation, but tweaking your your hot tub temperature to the perfect setting is worth the bother. 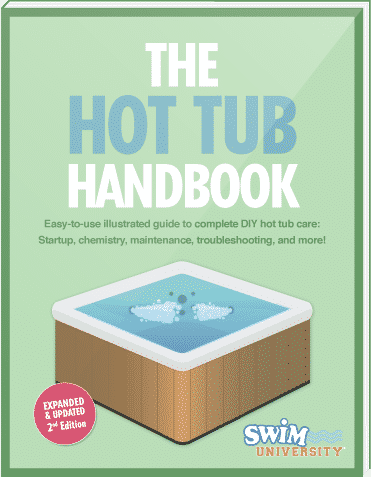 Brush up on the science of hot tub heating, and the potential effect of your spa on your family’s health and budget, and you’ll be on your way to finding the sweet spot that’ll keep you soaking in comfort. Like the roiling waters and the chance to kick back with friends and family, the heat in your hot tub is one of its main attractions. You turn on your hot tub heater just by flipping a switch or adjusting a dial. Some models even let you warm up your hot tub with an app on your phone, tablet, or PC. New hot tubs usually have a limiter to prevent the hot tub temperature from exceeding the Centers for Disease Control and Prevention (CDC) recommended 104° F (40° C). Some older tubs might allow you to go past this limit, but take a lesson from the scientists of Jurassic Park: just because you can definitely doesn’t mean you should. Tip: Even though your hot tub likely has a built-in temperature limiter, keep a separate hot tub thermometer If you click this link and make a purchase, we earn a commission at no additional cost to you. handy. 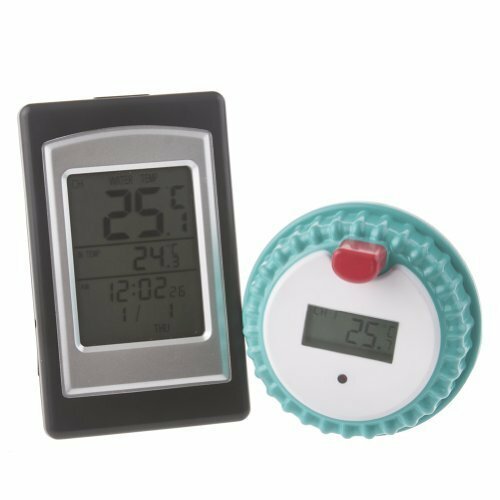 You’ll be able to quickly and easily confirm your spa’s temperature. You’ll also be able to spot any potential hardware problems, such as overheating or heating failure, before you get in the water. Everyone has their own preference when it comes to water temperature. But the CDC’s recommendation exists to help you avoid potentially dangerous health issues. The risk is even higher for older folks, very young children, pregnant women, and those with chronic illness. Even if you’re in overall good health, spending long periods of time in hot water can be dangerous. Consult your health care provider before you use a hot tub, especially if you have a heart condition, high blood pressure, diabetes, or other serious illness, or are (or may be) pregnant. Talk with your doctor about what’s safest for you, and limit your hot tub temperature and soaking time accordingly. Can Kids Use a Hot Tub Safely? Children don’t have the same heat tolerance as adults. Their smaller bodies and thinner skin make them more susceptible to heat. The CDC strongly recommends that kids under the age of five stay out of hot tubs. Older children should be limited to soak time of five minutes or less, and avoid full immersion. Use a timer If you click this link and make a purchase, we earn a commission at no additional cost to you. to make sure they don’t stay in the water longer than they should. The best approach is to talk with your children’s pediatrician before you let them take a dip in the tub. A safe soak is the best kind! Your perfect soak will probably vary depending on when you’re soaking and where. For example, you might want things a bit cooler on a warm summer’s evening in Florida than you do during a winter soak on a snowy afternoon in Colorado. We recommend starting off at the average normal body temperature, 98.6°F (37°C). If it’s too chilly, slowly increase the temperature until you’re comfortable. Can You Keep the Hot Tub Temperature Low? Unless you’re lucky enough to have a mad scientist living next door and are powering your hot tub with their unlicensed nuclear reactor, you’re probably concerned about how much energy your hot tub consumes. You might even think about lowering your hot tub’s heat setting when you’re not using it to cut your energy costs. Energy efficiency is certainly important, but lowering the temperature might not be saving as much money as you think. If you use your hot tub regularly and lower the temperature setting between each use, you might actually be increasing your energy costs. Reheating the tub each time not only burns extra energy, but puts a strain on your spa’s heating element If you click this link and make a purchase, we earn a commission at no additional cost to you. , which has to work harder to raise the water temperature than it does to maintain it. This can wear it out more quickly than normal use, requiring you to replace it more often than you really need to. Of course, that doesn’t mean saving money by lowering your hot tub temperature is impossible. If you’re headed out for an extended vacation or don’t plan to use your hot tub for a long period of time, dropping the temperature can help you avoid a high energy bill when you return. It’s safer for children, elderly people, and pregnant women. You can use your hot tub to cool off on hot days. The water may freeze in colder climates. The stress-reducing effects of the hot tub are lessened by cooler temperatures. The hot tub won’t be usable on cooler nights (or at least would be quite uncomfortable). If you live in a warm climate and are using your spa during the summer, you can definitely save some money (and boost your comfort) with a lower hot tub temperature. Slipping into 104°F (40°C) water when it’s 103°F (39°C) in the shade doesn’t sound nearly as appealing as a spa turned down to around 85°F (29°C). 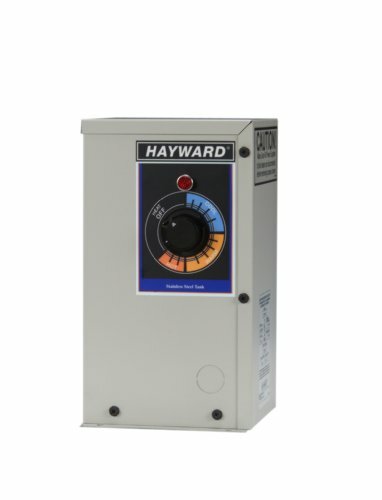 Depending on the weather and ambient temperature, you can also turn the hot tub heater If you click this link and make a purchase, we earn a commission at no additional cost to you. off and allow the water to cool completely. Then you’ll essentially have a small pool that you can relax in on those hot summer days. It might seem obvious, but we do not recommend setting your spa’s temperature at 85°F (29°C) or turning the heater off during the winter if you live in a cold climate. Any energy savings will be offset by the potential cost of replacing burst pipes and damaged hardware. Plus, unless you’re an ice-hardy member of the Polar Bear Club, a quick dip will probably be more miserable than merry. 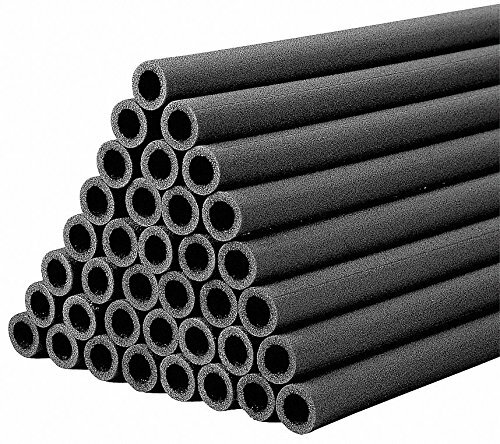 In that cold climate, you will want to take precautions like wrapping the pipes with insulation If you click this link and make a purchase, we earn a commission at no additional cost to you. to help protect them from freezing temperatures, and protect you from repair bills. Balancing comfort, safety, and energy expenses is part of living your best hot tub life. And when you understand how hot tub temperature affects all three, you, your friends, and your family can enjoy a worry-free soak. Don’t settle for lukewarm results. Whether you want to be cool as a cucumber or toasty as a turnover, the right hot tub temperature for you is one that’s healthy, cozy, and safe. Discover everything you need to know so you can avoid and treat Legionnaires' Disease from a hot tub so you can enjoy your soak knowing you are safe. Let’s take a closer look at hot tub lung, its causes, treatments and what you can do to prevent it so you don’t have to worry about it. Peeing in a hot tub is not just gross, it's dangerous so before you decide to tinkle in the hot tub, read this to learn about the dangers. Your hot tub is a place to relax, not get a rash. Learn how to prevent and treat hot tub folliculitis, plus how to clean your hot tub if it happens.